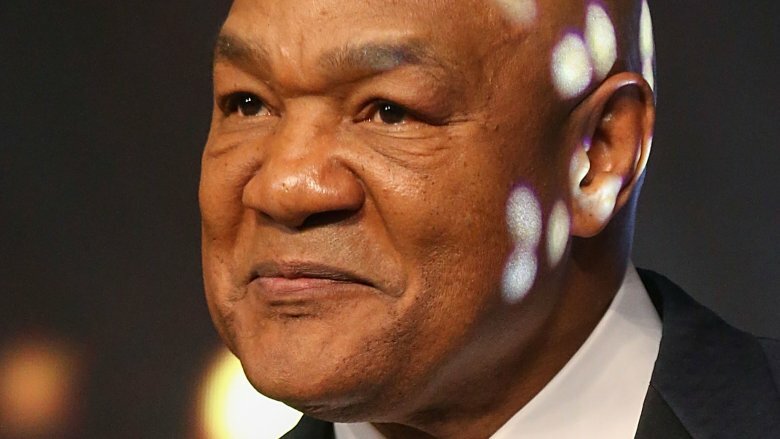 George Foreman has had an unforgettable career to date, and thanks to his 2008 TV show, Family Foreman, his family has enjoyed some time in the spotlight too. Foreman has been married five times throughout his life, and has been with his current wife, Joan Martelly, since 1985, per CBS News. His expansive family includes five sons and five daughters. Foreman also adopted two daughters, meaning that he has had a grand total of twelve offspring, which is more than a little impressive. On the fact that all five of his sons are named after him, the boxing champion explained on his website, "I named all my sons George Edward Foreman so they would always have something in common. I say to them, 'If one of us goes up, then we all go up together, and if one goes down, we all go down together!'" That … makes sense, right? Having been the heavyweight boxing champion on two separate occasions, an Olympic gold medalist, and the owner of a wildly successful line of grills, the original George Foreman is a household name. The former sporting star continues to build an incredible legacy, and his children are a huge part of that. 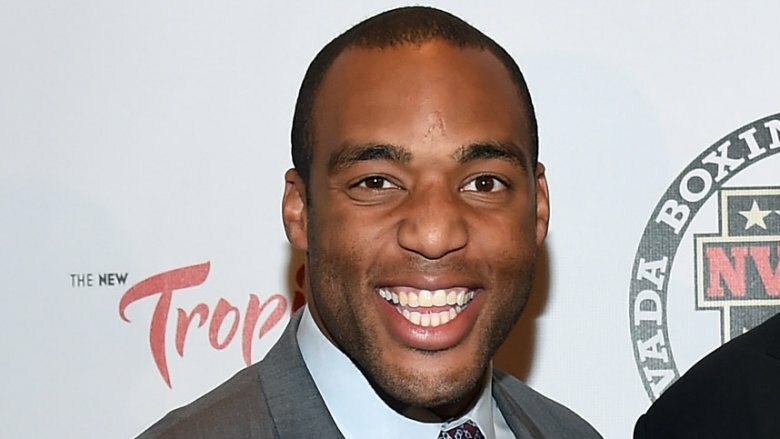 Over a decade on from when Family Foreman was on the air, here's what George Foreman's children look like now. George Foreman's eldest son, the aptly named George Foreman Jr., is very successful in business. According to the Capital Region AR VR Accelerator, in 2018, Venture Partner George Jr. is particularly passionate about the possible future uses of virtual reality, especially in the worlds of "sports entertainment and healthcare." Speaking to the organization, George Jr. explained, "I look forward to helping more entrepreneurs realize their dreams and continue to push the next frontier for innovation, competition and progress." In his capacity as Founding Managing Partner of IYC Capital, George Jr. apparently regularly works with start-up companies, and advises newcomers on how to secure funding and develop their business ventures. George Jr. is also listed as a producer on Family Foreman, per IMDb, as well as on the 2017 documentary Foreman which detailed his father's boxing career. In 2013, George Jr. teamed up with his brother, George Foreman IV, to organize the Top Rank Texas Boxing Tour. When asked by Austin Fit magazine why he was arranging a series of boxing events, George Jr. explained, "It's our dream. 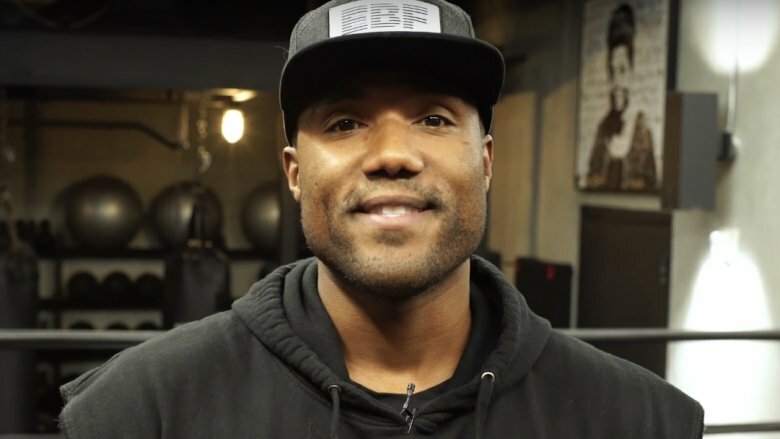 We want people to get excited about local fights, and get the community involved, and we also want to build big fights in Texas, find the next heavyweight champion." In 2009, The Houston Chronicle revealed that George Foreman Sr. had gone head-to-head with his second son, George Foreman III, in the boxing ring. George III, or "Monk" as he's known to his family, decided to follow in his father's footsteps, making his professional boxing debut in 2009. Speaking with the outlet about his decision to get in the ring, George III said, "My view of boxing has always been the hours of training." He continued, "Being away from your family. The dedication and sacrifices that you have to make. So when I decided to get into boxing, believe me, there were no surprises at all." He also revealed that he "didn't even discuss [boxing] or hint about it until [he] had [his] college degree." According to The Houston Chronicle, Foreman Sr. "got tagged with the nickname 'Monkey' by his siblings. He passed along that nickname to George Foreman III." Apparently, the nickname stuck. Now, George III owns EverybodyFights, a chain of luxury gyms, the first of which he opened in Boston in 2013, per Boston Magazine. And according to Yahoo! Finance in 2016, George III's gym secured an impressive "$1 million Series A investment" from Breakaway investors to expand the business even further. According to the official EverybodyFights website, the gym has locations in New York, Kentucky, Chicago, Boston, and Philadelphia as of this writing, and now promotes "Boxing Yoga." 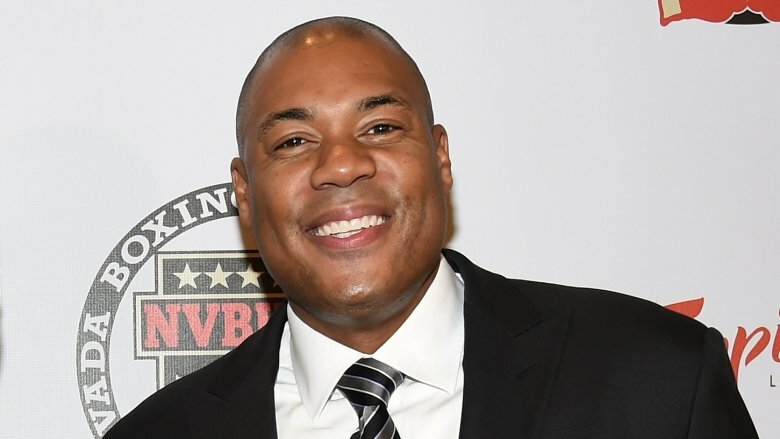 According to a 2015 Fortune profile of George Foreman Sr., it was revealed that George Foreman IV, or "Big Wheel" as he's also known, "is his dad's publicist and is working on the meat company." That "meat company" was called George Foreman's Butcher Shop, a venture the former boxer trialed in 2015, per Forbes. As of this writing, George IV runs Foreman PR & Marketing alongside sister Georgetta Foreman. Per his official bio, George IV has "10+ years of public relations." Speaking to The Grio in 2010, George Sr.'s third son explained, "Everything we do, it's not only father and son, but mentor and apprentice. He's such a great teacher. As he came up through boxing and business he had to do everything himself. In doing so, he teaches me what to do in situations." In 2017, The Houston Chronicle reported that George IV had been selected to appear on FOX's TV show, American Grit, hosted by John Cena. George IV told the publication of his appearance on the reality series, "I want to make sure the world knows, yeah, my dad was the one George Foreman, but let me tell you a little bit about myself — I'm a competitor, and I'm from East Texas." Despite there being $250,000 at stake, George IV insisted that he had another mission for appearing on TV: "Money comes and goes. What's inside of you, the performance, is more important." 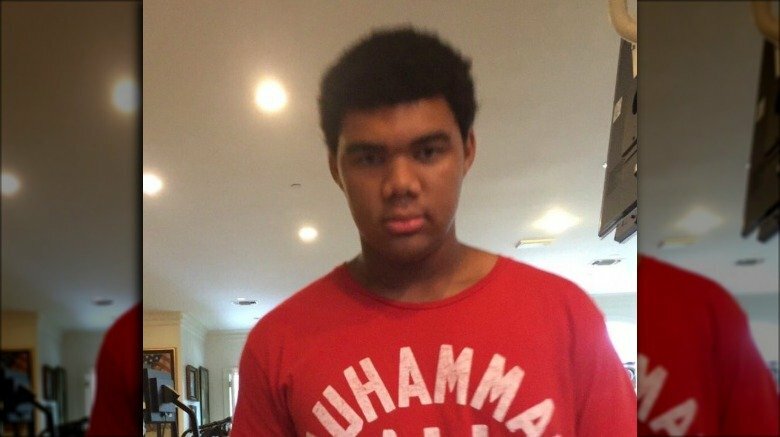 In February 2014, The Houston Chronicle reported that George Foreman's fourth son, George Edward Foreman V, "was charged with assaulting a family member," per Harris County court documents. 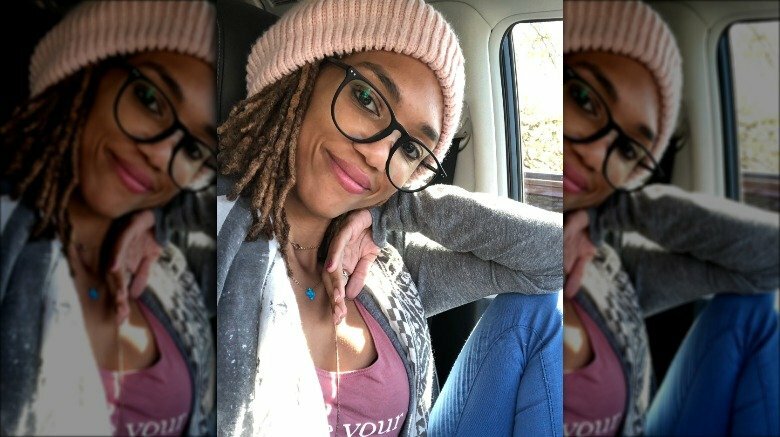 George V, who also goes by the nickname "Red," "is alleged to have choked Ashly McVea-Figueroa during an incident February 2." The Houston Chronicle identified McVea-Figueroa as George V's wife. 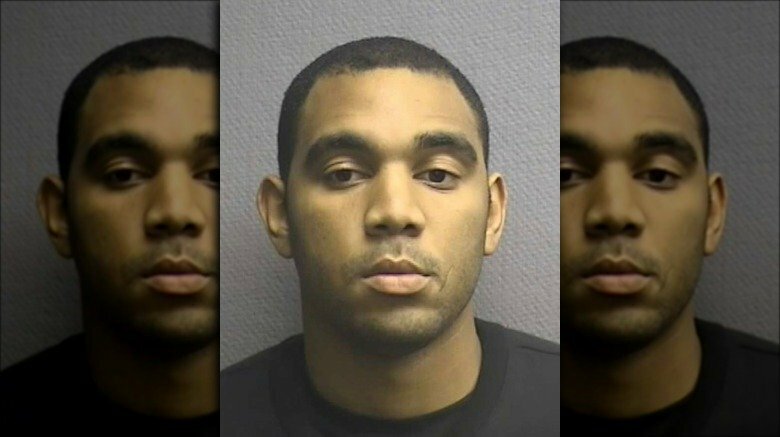 But in November 2014, TMZ reported that the case against George V had been dismissed, with Harris County D.A. spokesperson Lisa Porter telling the site, "We didn't think we could prove [that Foreman strangled his wife]." In November 2018, it was announced that George V was joining his father in a business venture. Per AthleteSpeakers.com, George Sr. became a Brand Ambassador for Choice Home Warranty, and "his wife Mary Joan, son George "Red" Foreman V and daughter Natalie Foreman, will also participate in the campaign. The Foreman family are policyholders and know the benefits of Choice Home Warranty first-hand." As of this writing, and judging by his Instagram account, George V mainly enjoys spending time with his young family and his brothers. George Foreman's youngest son is somewhat of an enigma. In January 2016, George Sr. shared a photo of George Foreman VI on Twitter with the caption, "View from my wife home in St Lucia +a George," in an apparent reference to the fact that there are so many Georges in the family. In September 2016, the boxing legend tweeted another photo of his youngest son, posing with two cheerleaders. The caption simply read, "Texans are on their way." And in July 2017, George Sr. tweeted a photo of George VI wearing a Muhammad Ali t-shirt — this time with the caption: "Even my son, George Thinks he is the Greatest." The boxing champion's youngest son also goes by the nickname "Little Joey" (via People). As George Sr. told CBN, "I named all my sons George Edward Foreman. And I tell people, 'If you're going to get hit as many times as I've been hit by Muhammad Ali, Joe Frazier, Ken Norton, Evander Holyfield — you're not going to remember many names.'" One of George Foreman's daughters, Natalie Foreman-Wynn, is a professional singer. In the biography posted on her Facebook page, the musician revealed that she was "born on the island of St. Lucia and raised in Houston, Texas." 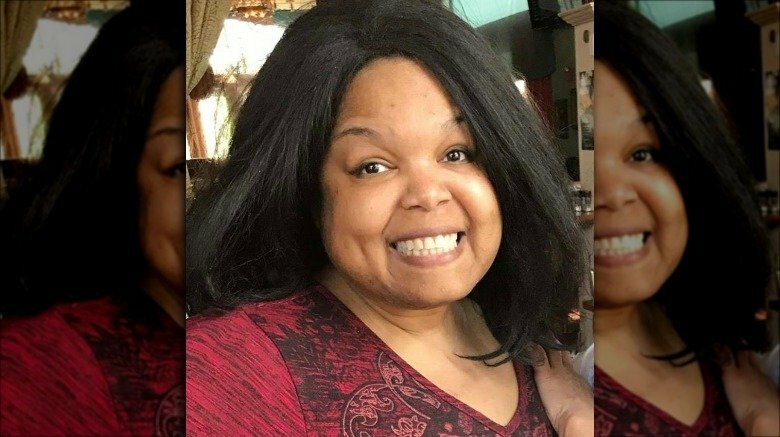 The bio also states that she "began singing at the tender age of four in her father's church (The Church of the Lord Jesus Christ)," alongside George Sr. himself, who played "acoustic guitar as her only accompanist." However, the family apparently wasn't fully supportive of her musical ambitions until she appeared on the reality series Family Foreman. "Within her family, no one could see Natalie performing anywhere besides the small stage in the humble chapel in Houston," the bio continues. "For the first time, the show brought Natalie up close and personal with larger crowds than she was accustomed to." Although Natalie's Instagram account is private, the star is often pictured with her siblings, like in this photo shared by sister Georgetta Foreman. Her brother, George IV, showed support for his sister's career when he shared a YouTube video of her singing "Somewhere Over the Rainbow" at an open mic night in Houston, Texas in June 2012. Natalie's Facebook biography also describes her music as a "unique blend of pop, country, with a classical influence." And according to LinkedIn, Natalie is currently a Professor at Lone Star College. 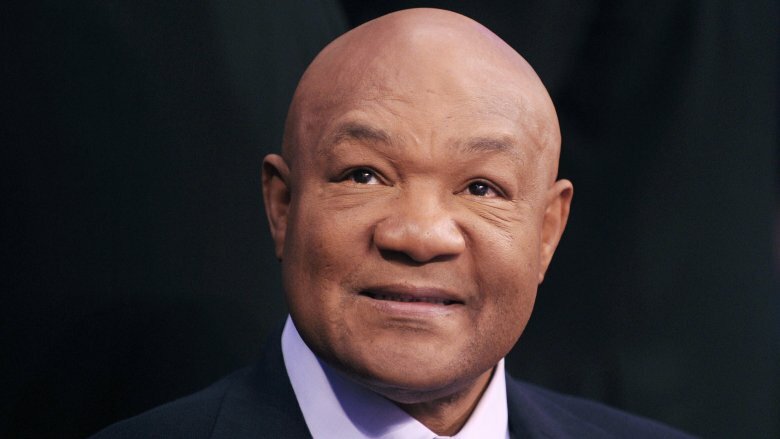 According to Heavy, George Foreman had daughter Leola Foreman, along with Natalie Foreman-Wynn, with his current and fifth wife, Mary Joan Martelly. In 2006, George Sr. revealed to Esquire that one of his aunts was called Leola, meaning that she probably provided the name inspiration for his daughter. Leola has a public social media presence, including Twitter and Instagram accounts, through which she regularly shares photos and video updates, like this photo of her young family. She introduced her two daughters to her online fans by captioning the September 2018 snap, "#NewLife introducing Lola-Rose Margaret Foreman, Lilah-Joan Madeline Foreman, that's their first and middle names." 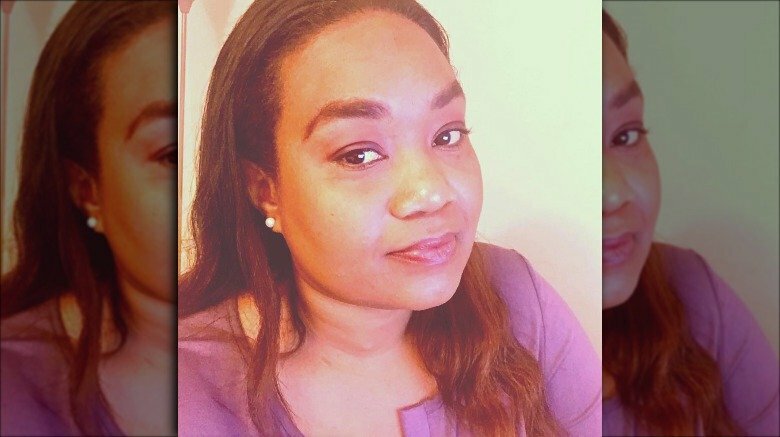 In February 2019, Leola revealed that she was setting up shop to record a podcast. Along with the Instagram shot of the fledgling studio, she wrote, "Slowly but surely getting my space together for my #Stories #ihaveFun #podcast #livestream I only need just a little more help." Along with her future podcast ambitions, Leola also seems to be taking a stab at stand-up comedy. Much like her younger brother, George Foreman VI, Michi Foreman keeps a relatively low-profile. Although several of her Facebook posts are public, her Instagram is kept private. In June 2017, she shared an adorable photo taken with her father at a black tie event, which she posted to her Facebook profile. Speaking about his children's names to CBN, Foreman explained, "There's Georgetta, there's Freeda George, and at one point my wife said, 'Look, I'll remember their names.'" He apparently laughed then continued, "There's Meechie, Natalie and Leola," noting that not all of the children were named after him. Of his kids' desire for privacy and to live their own lives, Foreman revealed to CBN, "You know when you've been a successful parent, when each of your kids come to you individually and say, 'Look, I need a little time to myself. Let me have my life.' And they think they're telling me off, but it's a thing of pride when they tell me, 'I've been in their life long enough, give them some space.'" Georgetta Foreman is a successful television producer who has worked on TV shows like Divorce Court and Supreme Justice with Judge Karen. 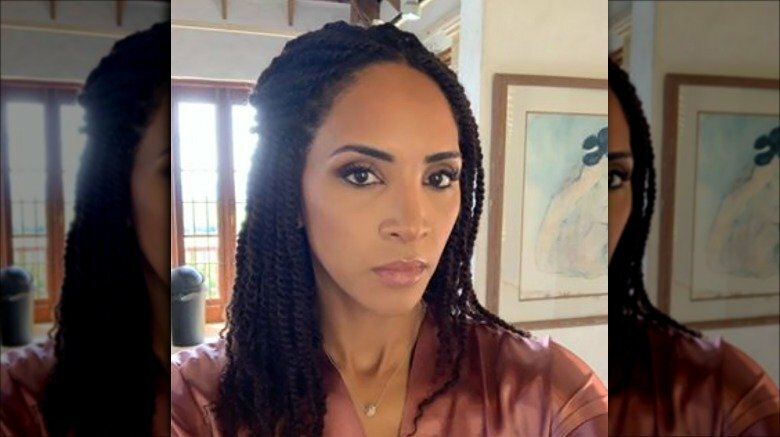 She also works with her brother George Foreman IV at Foreman PR & Marketing, with her biography explaining that she has "over 15+ years of talk, sports, and games show productions & media relations experience." Speaking to CBN about growing up as a Foreman, Georgetta revealed, "You know, one of the things I like to talk about is dad, you know, he has ten kids. But growing up he made sure that we all had our special time. There was even a time when we all had our own days. There was a Georgetta day, or George the second day, or whatever. And he took that time out to make sure that that day you had whatever you wanted to eat, whatever you wanted to do and he took out time to get to know who we were and who we are now." The TV producer is extremely proud of her family, and regularly shares photos taken with her famous father and siblings on Instagram. Freeda George Foreman sadly passed away in March 2019. CNN described the death as an "apparent suicide." The 42-year-old was a professional boxer who followed her father's path and achieved great success. According to Entertainment Tonight, although Freeda's boxing career was short-lived, she "won her first five bouts in the ring in 2000, before her first loss a year later, and retired with a 5-1 record to focus her attention on caring for her family and various personal passions." In a since-deleted Twitter tribute (via Entertainment Tonight), George Sr. wrote of his late daughter, "Daddy I want to Box, 'Get an Education first' I said, well she brought The bacon home (degree) 2 Kids 3 Grands (Husband)." Meanwhile, sister Leola wrote on Instagram, "'I will fight with you. You've earned my loyalty girl!' Freeda's last text to me. After saying to one another 'You know why we love each other, we're both crazy Texan/Caribbeans who think we're always right' I'm really going to miss my sister." Sister Michi also paid tribute to the female boxer, writing on Facebook, "Freeda started boxing with no training she wasn't even athletic but she was strong and brave." Alongside having ten biological children, George Foreman also adopted two daughters. Per Heavy, "In 2009, Foreman adopted a daughter named Isabella Brandie Lilja, and in 2012, he adopted a daughter named Courtney Isaac." While not much is mentioned about them online, it's clear that family is at the center of George Sr.'s life. As one of his son's, George III, told Boston Magazine in 2013, "We all had nicknames. Inside the house, there's only one person that responds to the name George, and that's my dad." And speaking about his aptly-titled book, Fatherhood by George, which was released in 2008, George Sr. told CBN, "It's strange because you — your life goes so swiftly. You look up one day you're a teenager, the next day you're a grandfather and you want to decide, 'I sure hope my kids don't make the same mistakes.' So you write a book to kind of imprint for your children, first of all. Then it's for their family and their friends.'" And it seems as though the boxing legend's passion for family has already been passed on to his sons and daughters.